Winter is behind us and spring break is on the horizon. It’s time to think about planning your first BBQ of the year. However, are you ready and prepared to start grilling? 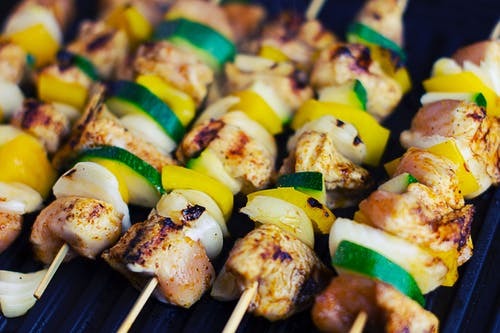 Here are some top tips to help you to get ready for that cookout. Your grill may have suffered during the winter months. It’s probably been quite a while since you got it out and dusted it off ready to prepare a mouthwatering meal, so here is a quick guide to cleaning it for spring break barbecues. Check to make sure there are no leaks in your gas barbecue. Put some soapy water onto the tubes, valves, regulator and hoses. Turn the propane tank on and check to see if any bubbles appear. If there are some, tighten up all the connections then try again. If you still see bubbles, there’s a gas leak, so you need to replace any damaged or bent components. Scrub down the grill using soapy warm water. Don’t use an oven cleaner though – they’re corrosive and could damage your grill. Remove the grates. Clean them on using a wire soft brush and use the same brush to get rid of any debris from the lid and body. 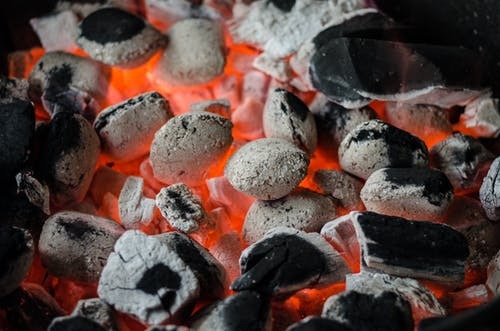 If you have a charcoal barbecue, make sure you get rid of any ash, old briquettes and grease. Wipe down gas burners and check for any rust which may have appeared. If any burner tubes or burners themselves are worn-out, replace them. Also check your ignition pieces. You may need to scrape away residue and grease using sandpaper. Check that the wires of the burners haven’t been chewed through by rodents and pests. Check the exterior of your grill for any grease stains and scrub them away. If you have a stainless steel grill exterior, make sure to use an appropriate cleaner. Tighten up the bolts and screw of the grill and lubricate any parts which need it such as the hinges and wheels. There’s a great way of removing rust from your grill grates. Soak them overnight in a solution of vinegar and water. Alternatively, use some baking soda to get rid of the rust. Don’t use a commercial rust remover, however, since these may be toxic. Once you’ve clean each side of the grates, you should rub some vegetable oil onto them then cure them by popping them into your oven at a temperature of 450 degrees. 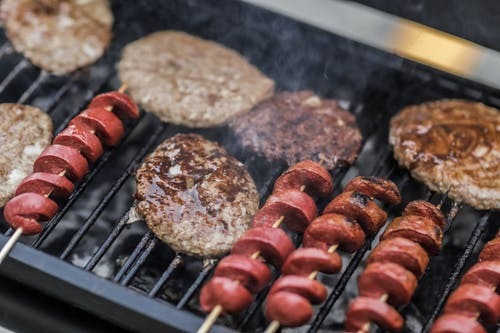 You can deal with rust on your grill’s exterior by painting over it using a metal rust-proof paint or by using a grill cover which protects the whole appliance. You want to be ready to grill at any time once the spring comes around, so make sure that you have fuel in stock all ready to go. Once you have your fuel and clean grill in place, you need to have a space to put it. Sweep the area where you usually have your grill. Hose down the patio or decking and ensure nothing flammable is there such as twigs and leaves. If you’re planning a big party for spring break in your backyard, you should have a trial run before the big day. Plan your menu so you can try all the recipes you’re thinking of cooking for the big event. This gives you a chance to see if your grill needs any tweaking to improve its performance. You’ll be able to check if the burners are properly balanced and whether you need some lava rock placed around your burners to avoid hotspots. You might also want to consider investing in a pellet smoker as they are a brilliant way of cooking meat for a delicious dish that is sure to impress your guests. Follow these top tips and your backyard and grill will be ready for your first cookout of the spring season. Whether you’re inviting friends, family or both to your special spring break event, you can be sure that everything will go smoothly when you are well prepared. Enjoy your barbecue with your clean and prepared grill!